A family business celebrating our seventieth year, Warren Associates is internationally recognized for our legendary line of non-destructive testing products. Welcome to the family. Warren Associates has evolved from a craft-based, custom photo shop into a modern multi-faceted company. Old-fashioned work ethic and the desire to deliver exceptional products and services are the principles of customer service established by our founder and qualities that remain part of our company's tradition. Our staff boasts craftsmanship and a strong belief in producing great work. Always looking to the future, Warren Associates has impressed from coast-to-coast with its ability to keep pace with always-changing technologies. Our success story is possible because of the relationships developed over the years and the kind referrals from our clients for a job well done. 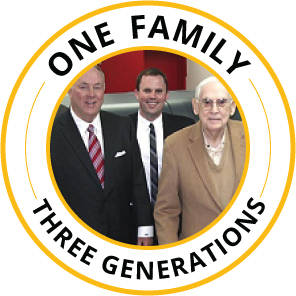 Founded in 1946 and celebrating three generations of family commitment, Warren Associates has built an international reputation as a leading provider of non-destructive testing products. A leader in non-destructive testing, WarrenNDT has forged a path for a safer, more productive future in testing industrial materials. To amplify both safety and security, while performing maintenance checks, we manufacture materials that provide maximum results in radiographic testing! WarrenNDT specializes in the production of materials for radiographic testing. Developed to detect imperfections and flaws in industrial operations, radiographic testing is a top-of-the-line method when inspecting for accuracy. With a high absorption rate, it reduces both scatter and secondary radiation. NDT ensures the success and safety of aerospace transportation. Without the NDT process, safety testing would be limited to mere visual inspections. Testing with x-ray techniques is a necessary part of an aircraft’s upkeep, as the components that make up an aircraft carry extremely high loads comparative to their material strength; and flaws, great or small, can potentially threaten the aircraft. This is especially significant given the average aircraft’s cycles of flying, loading and unloading, taxiing, and maintaining cabin pressure. WarrenNDT manufactures state-of-the-art materials needed for precise inspections. NDT procedures allow inspectors to examine parts of the aircraft, unreachable or otherwise undetectable. These techniques also measure the thickness of the aircraft skin from the outside and detect metal thinning from corrosion, as well as fatigue cracking. With such an essential mode of transportation, systematized maintenance and non-destructive testing prolongs the life of aircraft, making them more cost-effective and safe. Trust in WarrenNDT’s dedicated staff of professionals to provide the materials necessary to ensure preservation in aerospace technologies. Non-destructive testing is as effective as its standards in manufacturing. That’s why WarrenNDT takes pride in consistently running tests on our materials to ensure precision and reliability every time! Conducting Probability of Detection (POD) tests are how we measure the effectiveness in how our materials detect flaws and inconsistencies while in the field. With over 17 years of experience in manufacturing NDT materials, WarrenNDT provides the quality and fail-safe materials required for accurate inspections. The non-destructive testing process is not limited to in-the-field testing. NDT is also applied to ensuring flawlessness in materials while being manufactured. With projects like aerospace technologies and pipelines, there is no room for imperfections. That’s where WarrenNDT comes in to provide the best resources in the industry to guarantee dependability. From aerospace technologies to engineering pipelines, it is imperative to constantly research the best techniques for inspection. The specialists at Warren NDT are determined to find, acclimate, and apply the latest in their research to our products and services. In an ever-changing world where technological advancements have become essential, it is important to trust in a company that takes pride in seeking the future of non-destructive testing and its benefits. There is much to benefit from steadily researching non-destructive testing. This constant research derives from growing and changing requirements, guaranteeing regulatory compliance, product reliability, worker safety, and environmental integrity. Join Warren NDT in making non-destructive testing the safest and most effective form of research testing! 412-766-5757 | 2901 Brighton Road, Pittsburgh, PA 15212, United States | © 2019 Warren Associates. All Rights Reserved.